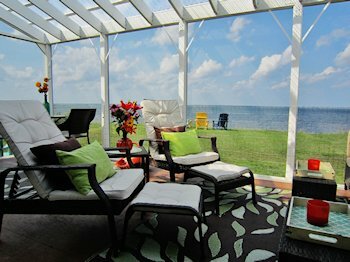 At this beachfront rental property, it is all about being outside. 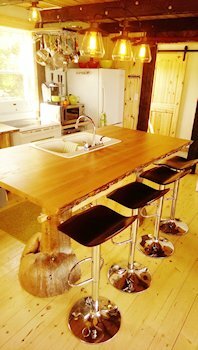 Breathe in that sea air, walk just steps on your scenic front yard to an outstanding beach with a large swim raft, where you can paddle in some of the warmest waters in Canada. No big cliffs, just an easy few steps for seniors and kiddies and you are on the shore. Are you a Beachcomber? Spend hours on the sand bars during low tide. There is simply no better place for family & pet friendly fun! 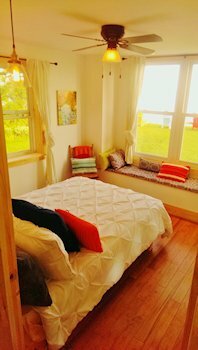 Enjoy watching weathered lobster fisherman & sailboats saunter back and forth while sipping coffee in bed or simply admire beautiful PEI in the distance from your own adirondack. In the evenings, you can grill local seafood on the spacious seaview barbecue and then kickback with a glass of wine to observe the mesmerizing sunset unfold and sparkle right in front of your eyes. Heaven. 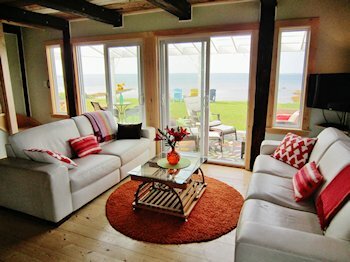 This highly central location is a great base for exploring Nova Scotia, New Brunswick & PEI! 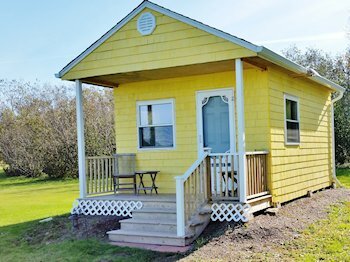 While on the Sunrise Trail, overlooking the Northumberland Strait, and close to the quaint and historic seaside communities of Tatamagouche, Marshville, River John, Wallace, Fox Harbour & Pugwash, you can still drive to the Halifax International Airport, Moncton Airport, PEI or Cape Breton in 1.5-1.7 hours! long doubles, 3 twins, 1 twin cot, 1 extra twin mattress, 1 playpen/bassinet. 2 oceanview window seats. WIFI. 3 Flatscreens, DVD Players and Movie Library. Large swim raft out front.